Have a manuscript that is just about ready for publication? Not sure which journal is the best fit? Do you need to find peer reviewers? The Journal/Author Name Estimator (JANE) might be of use to you! JANE can recommend journal titles based on the words used in your abstract or the title of your manuscript. It is simple to use. Copy your title or abstract and paste it into the JANE search box. Choose “Find Journals”, and JANE will provide a list of journal titles that might be good candidates in which to publish. JANE can also be used to find authors who have published papers in the same research area. Simply choose the Find Authors button after pasting your information into the search box. How does it work? JANE takes your input, analyzes the text, then find 50 of the most similar articles based on the wording used. Each article receives a score based on its similarity to the original input. The software then adds the scores from the same journals or authors to obtain a combined score. These combined scores are then ranked accordingly, and the software lets the user know which journal / author is the most similar. JANE pulls from all the journals in Medline that have had at least one entry within the last year. Only articles with an abstract and that have been published within the last ten years are utilized. The JANE team updates the data on a monthly basis. For more information, see the JANE FAQ’s. PubMed Health is a National Library of Medicine resource for patients and clinicians. It focuses on what works with disease prevention and treatment (clinical effectiveness). It searches PubMed for systematic reviews, but also contains executive summaries of those systematic reviews. Executive summaries highlight the findings of systematic reviews in an easy to read form; they cut to the chase, so to speak. PubMed Health contents include DARE (Database of Abstracts of Reviews of Effects) reviews, clinical guides, and a list of methods resources such as avoiding bias. Another useful piece to PubMed Health includes the A to Z drug list. The results discuss medication routes, drug class, and provides links to the evidence as well as summaries for consumers. This site is a treasure trove of clinical effectiveness information and research. Start a browse by using the Contents drop down menu. To vaccinate or not to vaccinate has been a topic of controversy for awhile now. California has experienced a measles outbreak every year for the past 3 years. Public health officials in Michigan are concerned about outbreaks here as well. The Michigan DHHS began an advertising campaign encouraging parents to have their children vaccinated. According to the announcement, MI ranks 43rd in the US for vaccination currency with only 54% of kids fully up to date on their vaccinations. The site includes more than just history however. There are links to activities explaining types of vaccines, how they work, how they are made, and much more. There are resources parents can consult such as Misconceptions about Vaccination and Top 20 Questions about Vaccination. There are scholarly articles about “vaccine science” as well as an historical timeline depicting the history of vaccines. Overall, it is an interesting (and award winning) authoritative website created and maintained by medical professionals. Do you need a topic for your research paper? 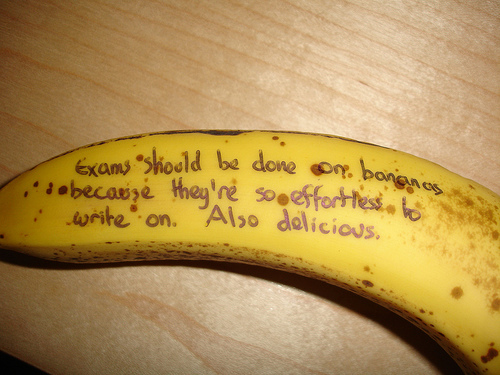 Are you having difficulty thinking of a subject? There are a few places you can turn to garner some ideas. Medical/health news sites are good places to start. 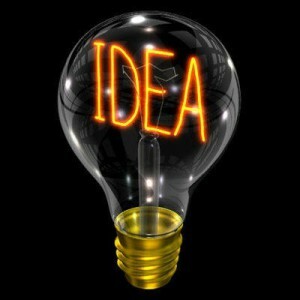 Check out what is making health news and see if anything sparks an interest or spawns an idea. HealthNewReview is exactly what it sounds like; it is a blog that reviews health news from a number of media outlets that offer claims of effectiveness for various meds (including supplements) and treatments. Reviewers are a mix of journalists, medical personnel, and researchers. MedPage Today is another option. Reviewers and staff post articles and news blurbs about the latest news in medicine and nursing. Content is divided into News and Specialties. The News link contains links to news about health policy and public health, which may be useful for the non-clinical folks. Nurses can check under the Specialties link at the top of the web page then chose the Nursing link for nursing specific entries. Medscape is another news site brought to you by WebMD. Once again, info is broken out by specialty as well as drugs and diseases. There is a Nurses link in the left column towards the bottom for nursing specific information. Virginia Henderson e-Repository is an archive of nursing research maintained by Sigma Theta Tau International (Nursing Honor Society). Peruse the contents of the archive for ideas. Finally, again for the nurses, the ANA has a proposed research agenda that may spark an idea. Keep in mind, with the exception of the Virginia Henderson Repository, these are POPULAR articles/materials, so you will not be able to use these sites for your actual literature; however, they may provide you with some ideas for what research topic you would like to focus on. May 6th through May 12th is the week designated to celebrate and appreciate all that nurses do. Personally, I think it should be a whole month – and that still would not be long enough. 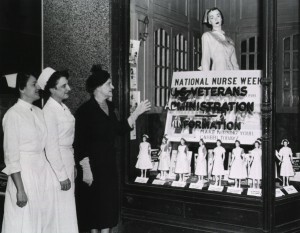 The National Library of Medicine has an interesting digital exhibition in their History of Medicine archives: Pictures of Nursing. 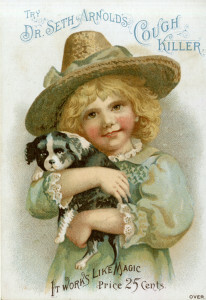 It is a collection of postcards with nursing images. One of the postcards is of the Starship Enterprise crew, which apparently included a nurse, Nurse Christine Chapel. I’m not a trekkie but it is rather interesting. So, to all of the nurses out there …a big THANK YOU!! Thomas Starzl was known as “the Father of Modern Transplantation”. He performed the world’s first liver transplant in a human in 1963 while at the University of Colorado. In 1980, he moved to the University of Pittsburgh and performed the world’s first heart-liver transplant in 1984. While Dr. Starzl pioneered the surgical techniques he used in transplantation surgeries, his work on pharmaceuticals for immunosuppression was also groundbreaking. He, along with Dr. John Fung, developed Tacrolimus, one of the most widely used immunosupressant drug in the world. His breakthroughs allowed transplant patients to live longer than ever before. Dr. Starzl is one of the most cited physicians of all time. He was named one of the most important people of the millenium, ranked 213 out of 1,000 by the Institute for Scientific Information. During his tenure at the University of Pittsburgh Medical Center, Dr. Starzl transformed it into the busiest transplant center in the world. I had the privilege to work at Presbyterian University Hospital on the liver transplant unit during Dr. Starzl’s tenure. I worked as a nurse aide while I was in nursing school. I also had the awesome experience of observing parts of his transplant surgeries. He was a busy man. I remember him making rounds, trailed by a group of 10-15 residents, interns, and other trainees. He would visit his patients then stand in the hallway outside their rooms and quiz the group about lab values, outputs, and etc. At least one of the group members would flounder when directly questioned. I always expected an explosion when they couldn’t answer his question, but that never happened. He was a nice man who treated others with respect. On March 4, 2017, Dr. Thomas Starzl died at the age of 90. He left quite a legacy. For more information, see his obit in the Pittsburgh Post Gazette or his official website at the University of Pittsburgh. Each year, in their April Fools Day issue, some of the prestigious medical journals lighten-up and print an article or two of less than serious research. 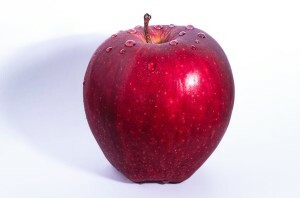 In 2015, the Journal of the American Medical Association (JAMA) published a study looking at the following question: does an apple a day truly keep the doctor away? The article titled, Association Between Apple Consumption and Doctor Visits, was a cross sectional study of 8,399 eligible adults. Data was pulled from 2007-2008 and 2009-2010 National Health and Nutrition Examination Survey. Researchers looked at participants who reported consuming a whole apple within a 24-hour period and compared them with non-apple eaters. The outcome of interest was the number of doctor visits over the course of a year. Another wives’ tale put to rest. 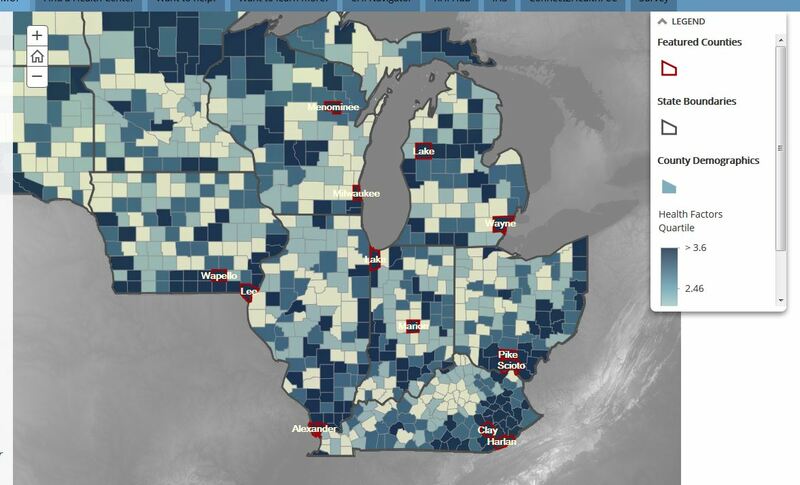 One of the counties highlighted in the project is Wayne County, Michigan. The county “stories” include information on health indicators such as location, population make-up, economy, and education. 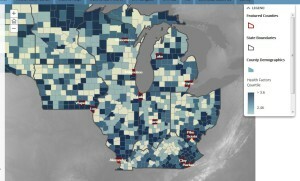 Another tab breaks down the medically underserved areas. The Resources tab provides links to needs assessments and reports among other information. I’ve highlighted the National Library of Medicine’s (NLM) medical history collection in the past. Some of its contents are fascinating and simultaneously amusing. The latest item to be publicized is a 19th century advertisement for Dr. Seth Arnold’s Cough Killer. Apparently “it works like magic” and is priced right at $0.25. A steal compared to today’s offering that run $9-12. What was the active ingredient in Dr. Seth Arnold’s concoction? Dr. Arnold was not required to list the ingredients on the package, but the NLM posting lists morphine as the active ingredient. Did it work? According to Dr. Arnold (who may or may not have been an actual physician), yes it did work. His evidence? “The constantly increasing sale and the satisfaction it gives demonstrates its absolute merit.” How that for evidence based practice? One could argue the addictive nature of morphine was responsible for the increased sales and satisfaction. Dr. Seth Arnold’s advertisement came in the form of a patent medicine trading card. I’ll trade you a Dr. Kilmer’s Swamp Root Kidney Liver & Bladder Cure for a Dr. Thomas’ Eclectric Oil. Check out the collection if you have a moment.